While we do have an imminent and exciting new addition to the waterfallsandcaribous team, we haven’t wanted to bore/gross out our current readership with too many details of babies. However, in the interests of thanking the people responsible for a windfall of a beautiful prize pack we’re shamelessly promoting a link to H-J’s bit-on-the-side blog, adumplingintheoven.wordpress.com and, more specifically, to the latest post thanking our new buddies at Baobae and SassyMamaHK. And for those of you who are gagging for the pukey pictures, here’s a couple for you. 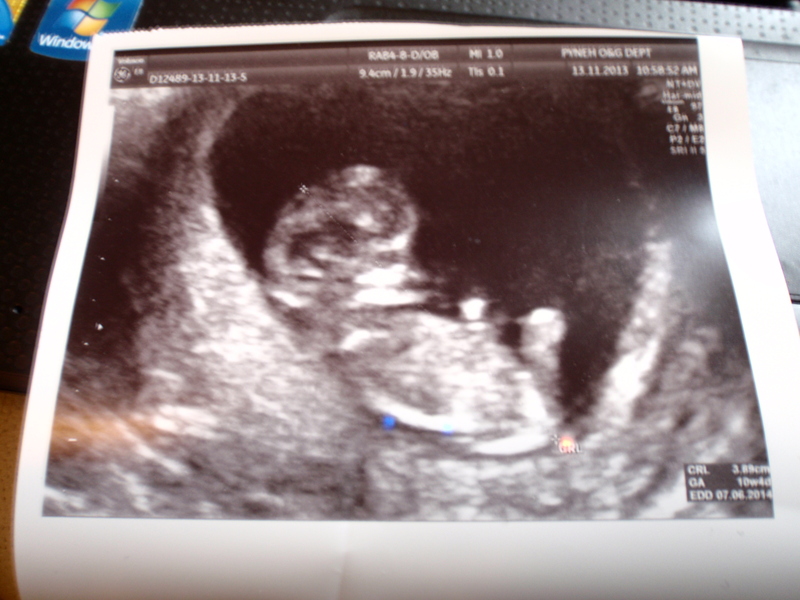 First up, baby at 10 weeks and 4 days…yes, this is a long time ago but it’s the clearest picture we have of the little mite 🙂 The second ultrasound was much blurrier and by the 20 week one, she (YES, SHE!) was too big to be seen as neatly in one little piece of paper. 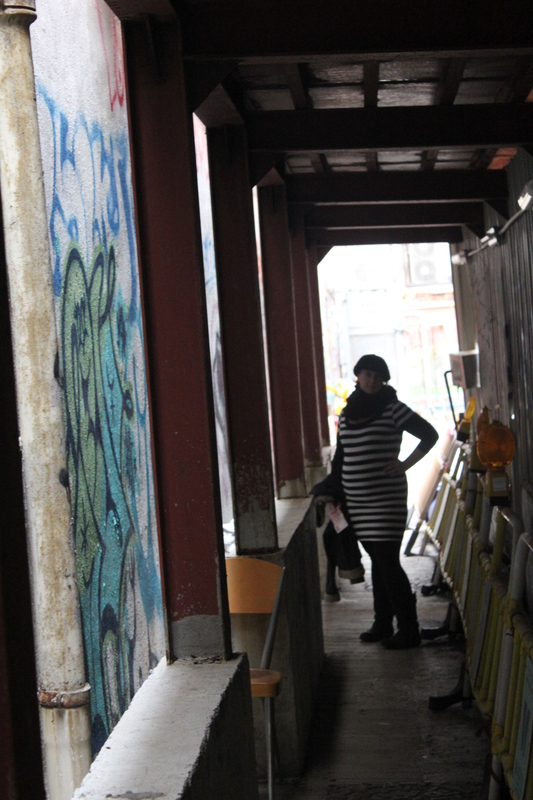 An ‘artistic’ (read: blurry) street scene of 28 week baby bump. 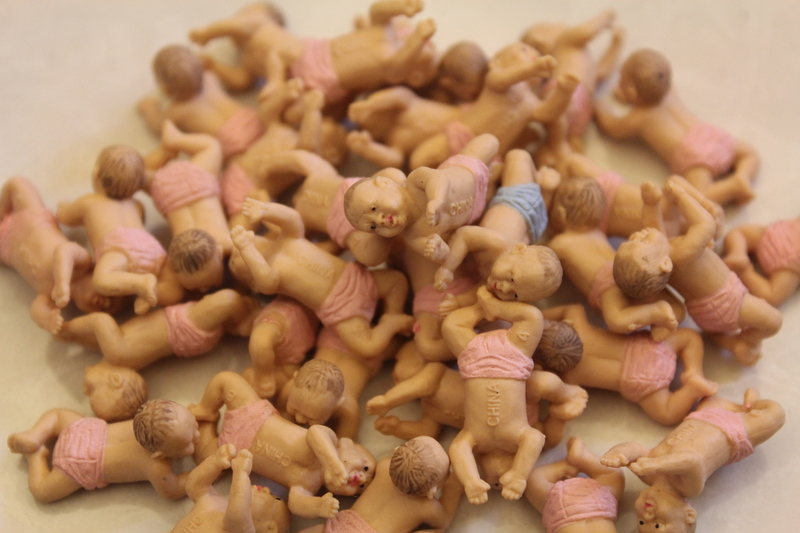 And for creepy factor, here’s a pile of rubbery babies, sent to us (for a special reason!) courtesy of Gma in NZ! That’s enough babies for now. Back to the usual programming next time! Um — a dumpling in the oven? That has got to be the best baby blog name ever! I love it. =) And what a great haul of beautiful goodies you won! Lol had to keep it Asian and somewhat cheesy. Yeah, we’re pretty stoked about the love that was rained down upon us! Aren’t they just the creepiest things ever?! I only know you for making me feel hungry every time I read one of your food posts but congratulations! That’s an AWESOME thing to be known for!!! Oh man – this is so exciting you guys!! Big, big congratulations from Matt and I!!! Thanks guys! Hope you’re both well.